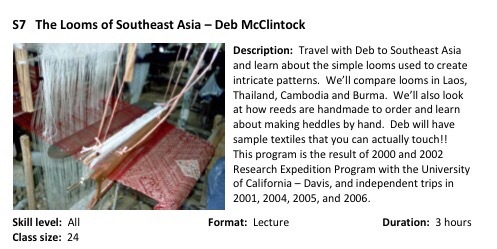 Inviting my California digital dye friends to come hear my dye talk in San Francisco to the Textile Arts Council at the DeYoung Museum. Today I hosted 3 UT Art Graduate students and showed them the winter dye garden. 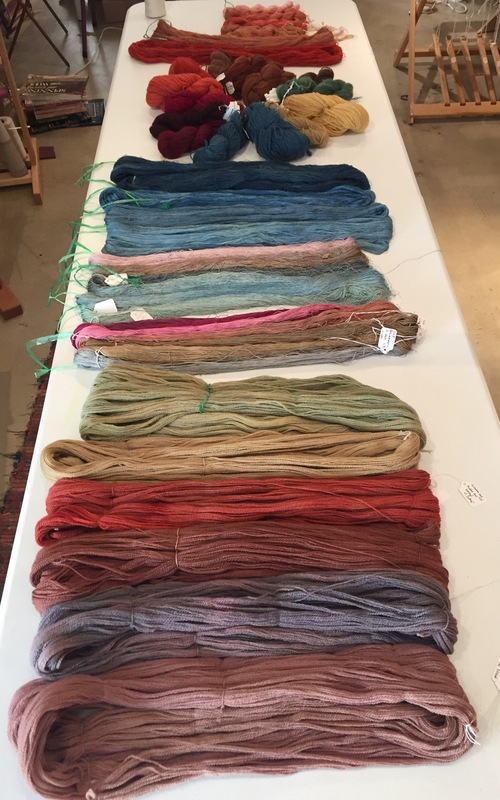 Even though all outside was frozen or dormant there was plenty of color in the studio to show them. It was a fun 3 hours of give and take and seeing the art world thru their eyes. The indigo suffruticosa is cut back and dormant but the seed pods were beautiful. The madder root bed was frozen back but we weeded and looked at the roots gleaming with color. The Japanese Indigo beds lay fallow waiting for their early spring turning of the soil. Some frozen indigo leaves showed their true colors. Pulling together color props and reviewing lecture notes is always fun. One remembers past students’ questions and tries to answer the past while anticipating future questions. 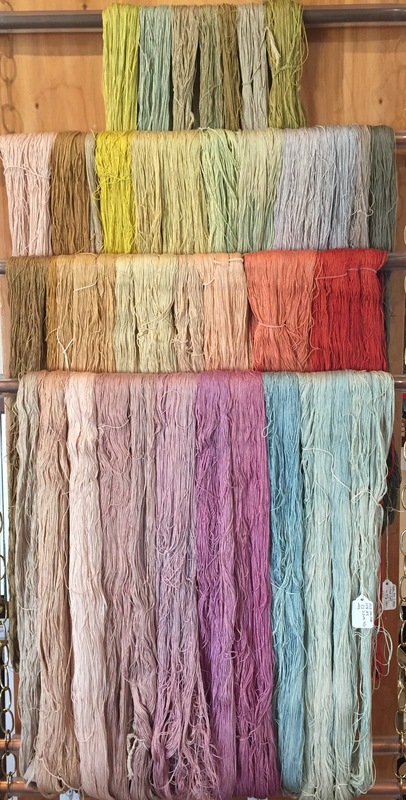 Below are my first pick of natural dye examples….fun to decide the color groupings. 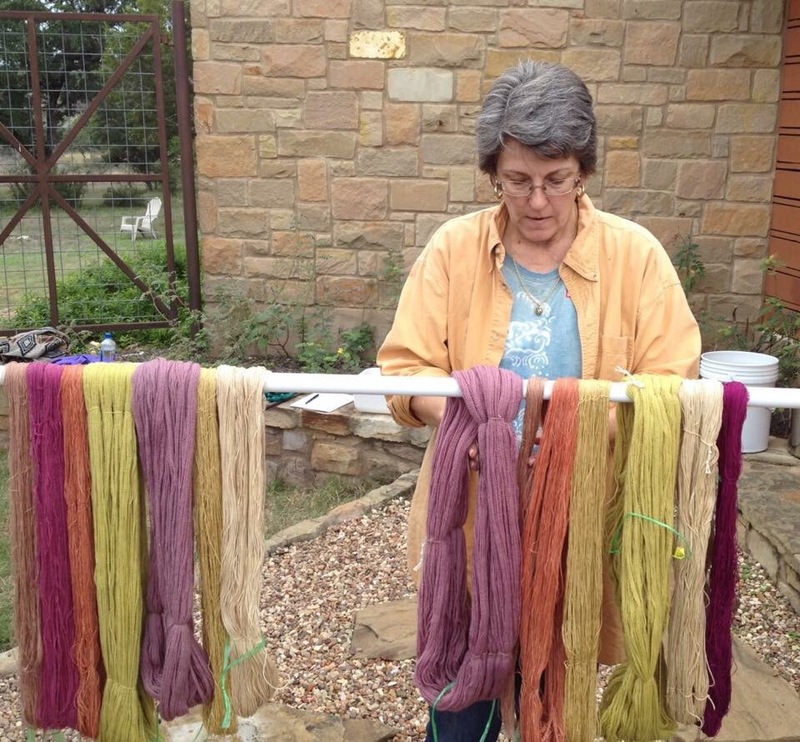 Persimmon, indigo, madder & lichens are the colors from my Pedernales valley! 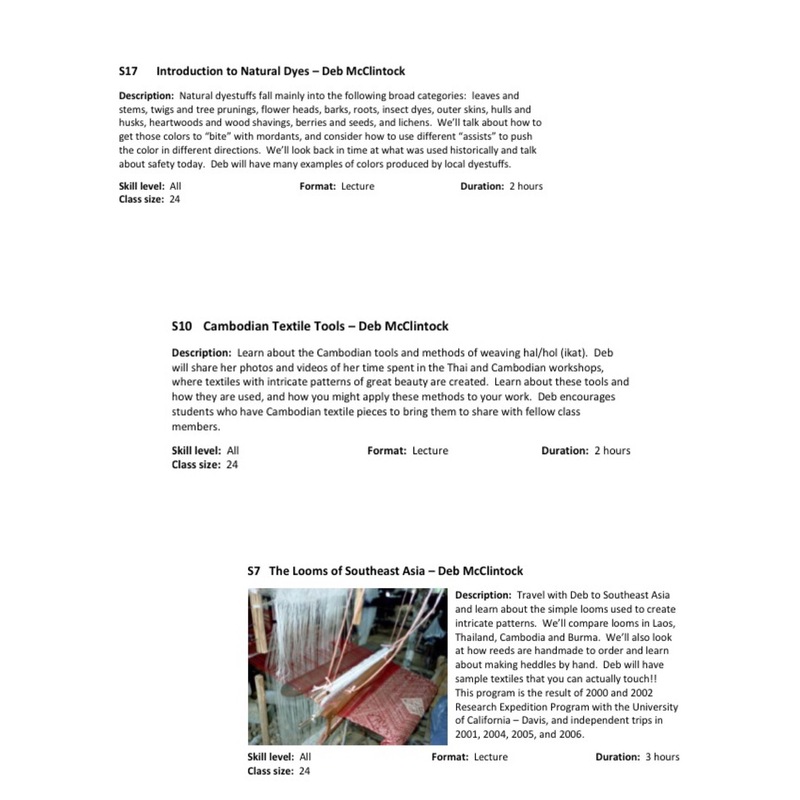 Below the photos is the Contemprary Handweavers of Texas conference link and the classes I will be teaching. Time to pull out more props! This is a “dry” talk…lots of history, process techniques and samples. Take a drive to the Hill Country and put some color in your day.